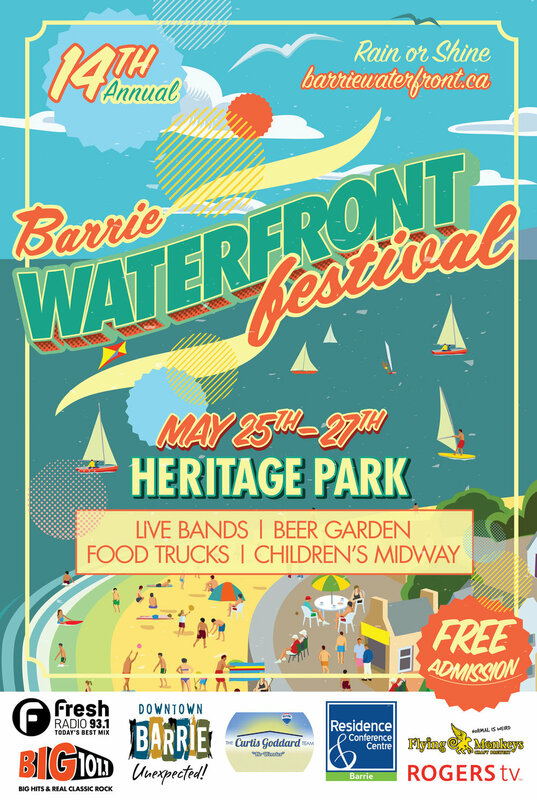 The Barrie Waterfront Festival was looking to update their outdated logo and overall design for their yearly summer festival. They wanted to attract an audience outside of Barrie and present themselves as a world class festival and needed the design to reflect that. Toronto's Rock Q107 (CILQ FM) is a rock radio station based in Toronto, Ontario Canada. 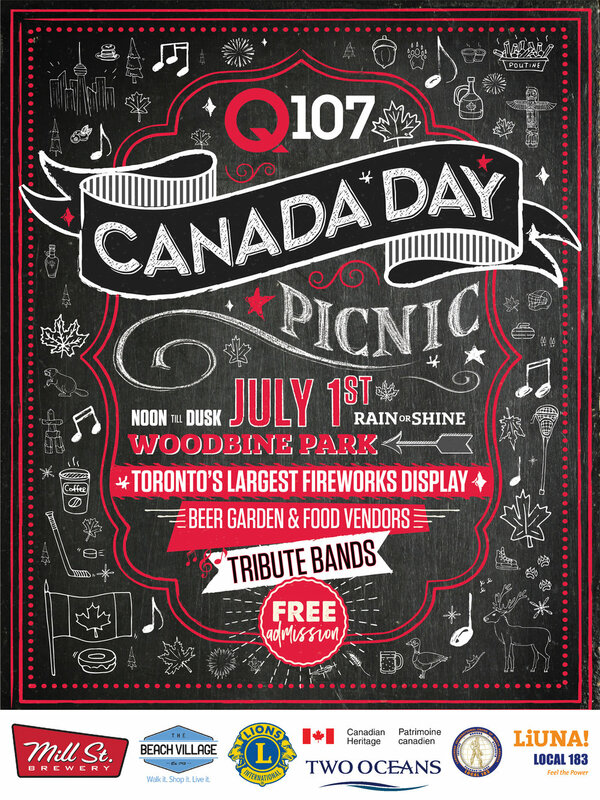 Every year they host a Canada Day Picnic open to all their listeners. Every year I create a poster which both highlights the Canada Day celebrations while standing out against the multitude of other Canadian themed event posters going up around the city. We like our picnic poster not only to speak to the celebrations of the day but celebrating our radio stations yearly themes and marketing initiatives.